Back from our spontaneous getaway and into reality. (sigh) I hit the grocery store today to stock up for the week. I have no menu plan so I'm winging it for the next few days. And I'm finding it increasingly frustrating to go shopping lately. I'm seeing a huge increase in prices and frankly it's ticking me off. Here's what I got. 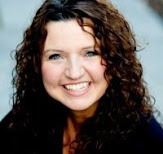 Would you like to share what it takes to feed your family? Please post about your shopping trip, link directly to your post, not your homepage. 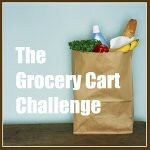 And please include a link back here to the grocery cart challenge. Bulk onion oup mix...wow I didn't know you could buy it that way. My goodness YES grocery prices are really skyrocketing. it definitely makes grocery shopping more frustrating.